Have you been injured in a car accident? If so, contact Lebovitz Law Group, a trusted Phoenix Valley car accident law firm that will explain all your legal options and show you how to maximize the compensation you deserve. The injuries suffered in a car accident often require medical attention. If the collision is the result of another person’s carelessness, recklessness, or negligence, then the law says that they ought to be responsible for your medical bills, as well as any lost wages, emotional harm, pain, discomfort, or physical limitations that affect your family or enjoyment of life’s activities. These and other losses may continue into the future. Lebovitz Law Group has extensive experience working motor vehicle accidents in Arizona and will work with you to determine all parties at fault and aggressively pursue fair and just compensation that you are entitled to. Many car accident attorneys make similar claims, but where LLG excels is digging deep into your case to find additional areas for compensation. In Arizona, it is not uncommon that the at-fault party lacks enough insurance to compensate your injuries and damages, or in many cases the at-fault party might not have any insurance at all. Sometimes there may also be a dispute as to who was actually at fault for the collision, whether the injuries are directly related to the collision, or whether the treatment for your injuries was reasonable and necessary. If you’ve been injured in an automobile accident, please do not wait to call (602) 975-5550 for a free case evaluation. If you are involved in a car crash, there is a high likelihood that you will sustain some form of injury. However, the nature and extent of injuries varies widely, from scrapes and bruises, sprain/strain injuries, to tears, fractures and other potentially life-altering injuries, or even a wrongful death. 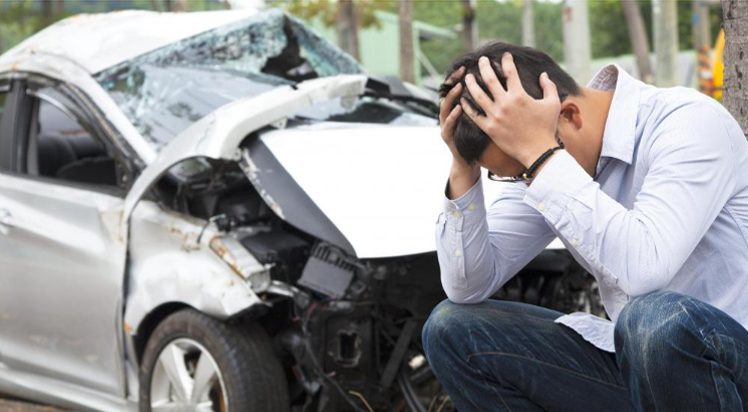 Common injuries suffered in auto accidents include lacerations, bone fractures, neck, back and spine injuries, concussions and traumatic brain injuries (TBI), and internal injuries such as damage to one or more of your internal organs. Some injuries suffered in car wrecks are obvious from the start. Others, however, are more difficult to detect, since symptoms may not appear until well after the accident occurs. This is particularly true of soft tissue injuries, where the symptoms at the outset may merely be stiffness, perhaps some numbness, soreness, headaches and the like. If you experience any of these symptoms, it is important to get checked out by a medical provider immediately because these symptoms may be indication of a more serious problem including possible spinal or brain injury. Because injuries in many cases do not manifest until days, weeks or even years after a collision, it is essential that you seek medical attention at the earliest possible time. A medical professional will often be able to spot symptoms before the onset of more acute problems. Since medical injuries do not always resolve, or resolve as quickly as we might hope, LLG will seek compensation not just for your current medical expenses, but also the potential medical expenses for ongoing care in the years to come. The first thing to understand about proving fault, and therefore liability, in an auto accident case, is that you can be partially at fault and still collect damages from the other parties in your case. This is a function of Arizona’s comparative negligence law. The primary statute, A.R.S. 12-2505, provides that if you are partially at fault in a case, you can still collect, but your damages will be reduced by the relative degree of your fault. This is known as “pure” comparative negligence, as opposed to modified comparative negligence, which has been adopted in other states. But even among the states, like Arizona, that have adopted the “pure” version, there are various wrinkles that make the law in our state unique. Lebovitz Law Group can explain exactly how this will affect your car accident settlement and how to use the law to your benefit.